When the storm hits, it sets its wings so that the wind will pick it up and lift it high above the storm. 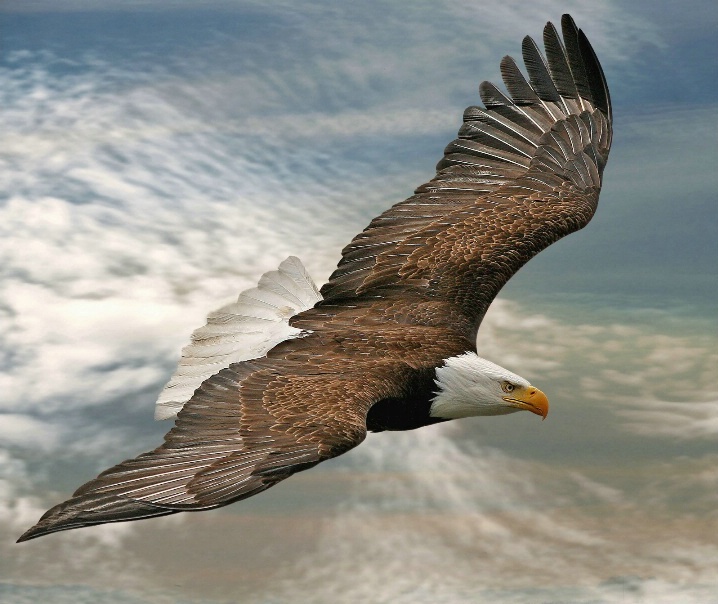 While the storm rages below, the eagle is soaring high above it, gliding with ease. The eagle does not escape the storm, it just simply uses the storm to lift it higher. It rises on the winds that bring the storm into its world. When the storms of life come upon us, and all of us will experience them, we can rise above them by setting our minds and faith toward God! The storms do not have to overcome us. We can allow God to lift us above them. God enables us to ride the winds of the storm that brings sickness, pain, tragedy, failure and disappointments in our lives, and make something good come from it. We can soar above the storm. Remember, it is not the burdens of life which weigh us down, but it is how we handle them that counts.